Labor Day Chess Sale – This Week Only. We’re celebrating Labor Day all this week with an expansion of our summer sale. 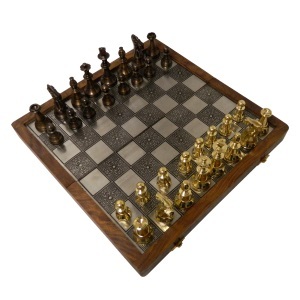 Not only do we have 50% off clearance items including Staunton Chess Pieces, Chess Boards, and Theme Chess Pieces – we also have up to 40% off New Arrivals and some of our Best Sellers. If you want to jump right in, follow this link to see everything! Best Sellers and New Arrivals: 25 – 40% off. 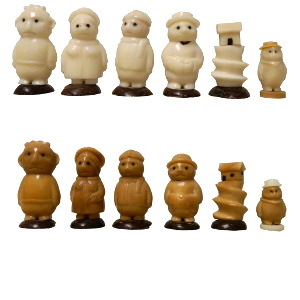 This year we introduced a huge line of Tagua Chess Pieces. These unique pieces are sometimes referred to as Organic Ivory because they look and feel like ivory but are instead made from the Tagua Nut. We import these unique sets from Ecuador and they cover a number of interesting themes. This week you can shop our Tagua collection for 25% off. 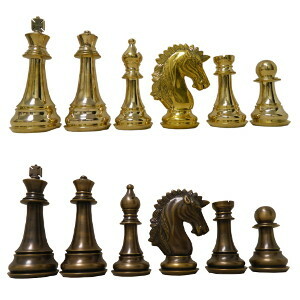 We also brought in a number of new, huge brass chess pieces (up to 8″ king! The knight weighs over 3lbs by itself!!). This week these new arrivals are also prices at 25% off – a substantial savings. The selections below are just a taste – we have dozens of items both new and old during the sale. To see them all, visit this link: CLICK HERE. 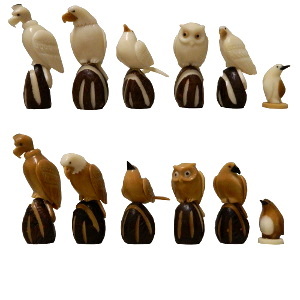 Tagua Chess Set – Natives. Based on Traditional Ecuadorian Dress. 25% off. 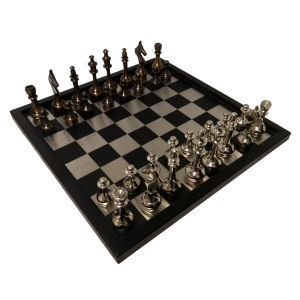 Modern Brass and Aluminum Chess Set – 25% off! 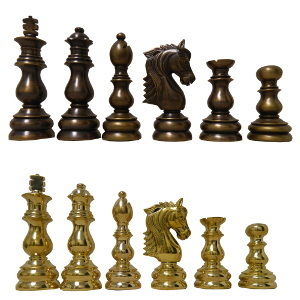 Folding Brass and Wood Chess Set – 25% off! These are just a taste of some of the special discounts. Go to our sale page here to see dozens of additional chess sets at incredible discounts! Chess Software Blowout – More than 50% off! You can receive almost all of our collection of training software from Convekta and Chessbase for 15.00 to 30.00, depending upon availability. The offer does exclude actual playing software. Additionally – we have a software grab-bag that is now available. For a low price you can get a random selection of either the old chess training software or the newer chessbase fritz trainers. The Chessbase Trainer Mystery Bundle gives 2 training videos at 40.00 – that’s 20.00 each for items that often retail for 40.00 or more! The basic bundle offers 3 of the older training CDs (often without full video) for 30.00. That’s 10.00 each for items that used to be well over 30.00! Remember that many of these items may not run on newer operating systems, so you’ll either need an older computer or the capability to set up an emulator to make them run. Don’t miss out on this chess sale – these items will not last! Get started via the links above to check out all of our current specials. Please note that due to the incredible discounts, other coupons and discounts cannot apply to these purchases and may overwrite these better discounts. Please check your carts carefully and feel free to give us a call if you have any questions at all!